Sunday was a great day! tSB family, friends, peer leaders, mentors, alumni, and potential Prophets (1st year students) put their creative hands and minds to use to finish an intricate art mural at the Delridge skate park. What an awesome way to give back to the neighborhood we call home! 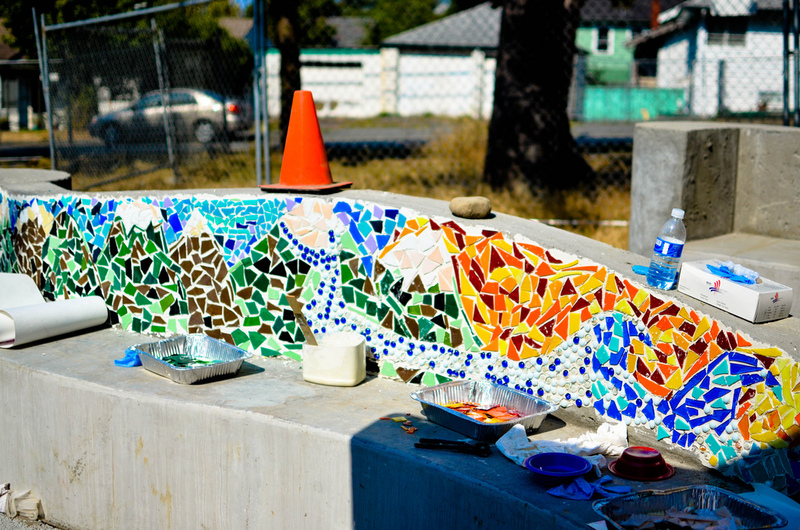 After 5 hours of working in the last of Seattle’s summer sun, we put the finishing touches onto the tile mosaic. 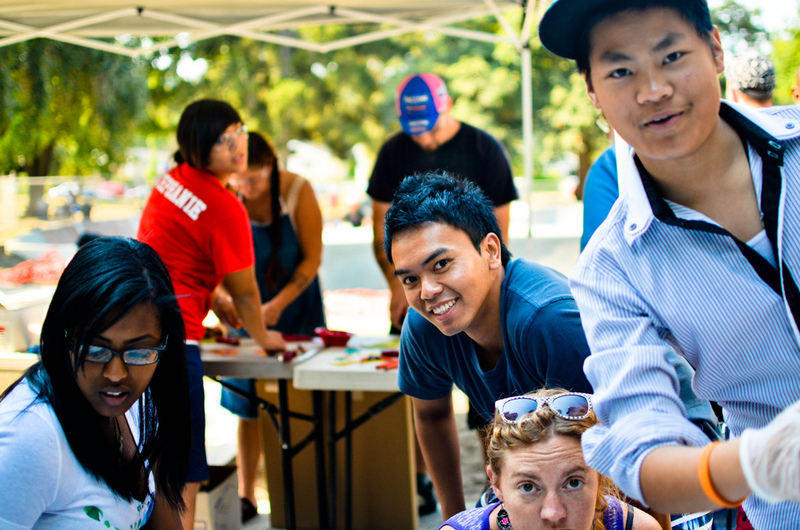 This Saturday will be Delridge Day, and the official opening of the Delridge Skate Park. Come visit us and witness the awesome legitness of tSB art yourself. We’ll be there, so come around and get to know us!